It's that time of year again. Aisles and aisles of store shelves lined with Easter candy. I can skip the chocolate bunnies and jelly beans with no problem, but I do have a few weaknesses… mainly chocolate covered marshmallow eggs. My best friend and I once downed 2 dozen Chocolate Marshmallow Eggs in one sitting. (I think we had just worked out too!) Not one of my proudest moments, but one that we will always remember, lol. Now I'm not taking about the milk chocolate covered marshmallow eggs, but those amazingly addicting dark chocolate covered eggs. Well, if these happen to be your weakness too, why not have a little fun and make them yourself. 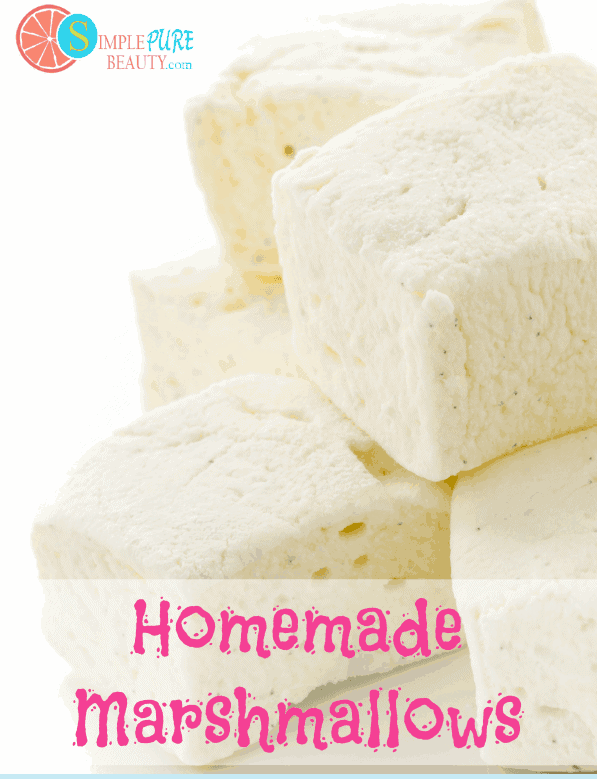 Now I have tried several homemade marshmallow recipes one using honey and one with maple syrup. I didn't like either and I couldn't even get my kids to eat them. I know these are healthier sweeteners, but I have found when making homemade marshmallows, I love the result just using organic sugar. In many online recipes you will find they call for corn syrup. You definitely want to avoid this and just stick to some form of organic sugar. Add gelatin and ½ cup of water to mixing bowl and set aside. Bring remaining 2 cups of water and sugar to a boil. Continue to boil, stirring occasionally until temperature reaches 250 degrees F.
Very carefully pour your sugar mixture into the gelatin. Mix with wisk attachment (I used my stand mixer) for 10-12 minutes until thick and fluffy. Pour into greased pan or molds. 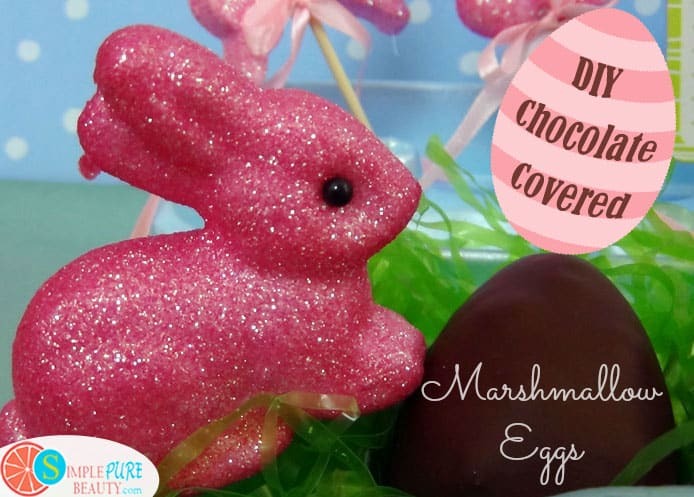 If you want to make the typical chocolate covered marshmallow egg, simply fill a 9×13 inch baking dish with about 1/2 inch of gluten free flour (or regular if you don't avoid gluten). Drop marshmallow by the spoon full into the molds. Cover with flour and place in the fridge to harden.When you're ready to coat, simply wipe off the excess flour. You can also grease a baking dish and spread the marshmallow in your dish then place in the fridge to harden. When they're ready, cut them in squares with kitchen scissors. Or you can use a fun mold to make bunnies, rabbits, etc. I found a cute Easter one at the Dollar Store. Grease the molds really well before adding the marshmallow. Place them in the fridge and when they harden, pop them out. After your marshmallows have hardened, they are ready for the chocolate shell. For a dairy free chocolate coating, I use Enjoy Life Chocolate Chips mixed with a few tablespoons of organic palm shortening. Feel free to swap out your favorite chocolate or chocolate chips. 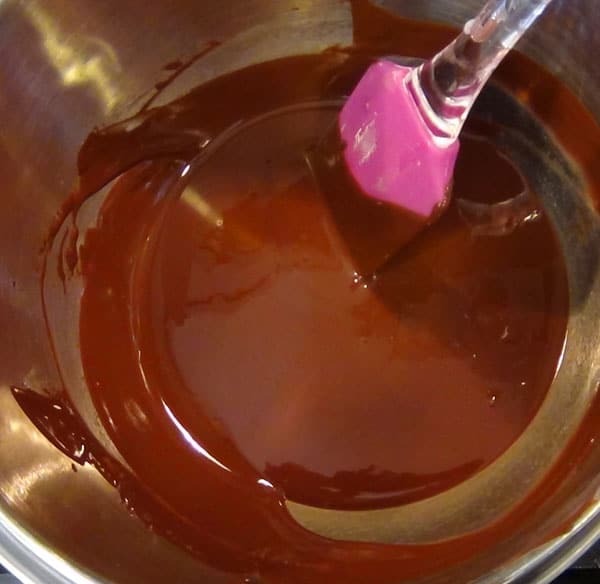 Melt chocolate chips and shortening in a double boiler. Remove from heat and let sit for 10-15 minutes. Dip homemade marshmallows in chocolate and place on parchment paper. Place in fridge or freezer to setup chocolate coating. That's it! Now you get to enjoy the fruit of your labor. I just wouldn't recommend eating a dozen at a time. « Irresistible Healthy Homemade Potato Chips – You know you want some! Can you roast these over a camp fire? I haven’t tried, but I don’t see any reason why you couldn’t 🙂 I am going to have to try this now.